Kitchen Renovators Nunawading›Zesta Kitchens›Articles›50% OFF Kitchen Cabinets - April Promotion! Start your Zesta Kitchens journey with us! Hop into a new kitchen this Easter - simply by booking a Free In-Home Kitchen Design Appointment. The kitchen is the heart of the family home. A place where feasts are created, families gather and friends laugh. We know the importance of quality, design and savings! That’s why Zesta Kitchens offers these savings so you too can enjoy the heart of your family home sooner! A little background, Zesta Kitchens is a family owned, fourth generation business. We have over 70+ years of kitchen knowledge and our focus is and always will be on attention to detail. When we first commenced in kitchens including kitchen manufacturing in 1973 we understood how important detail is. 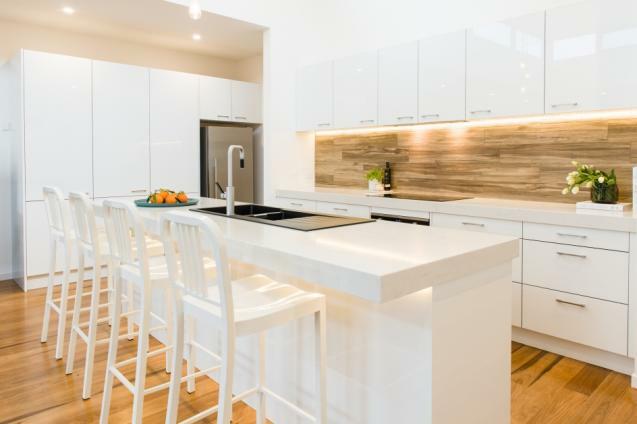 We have developed better quality ways of producing kitchens for the Melbourne market, bringing you not only the latest in stylish designs but kitchens you will love. Every kitchen is functional, highly durable, built to last and designed with quality in mind for your kitchen space all backed by a 10 year guarantee. This offer builds on our quality so you can have a kitchen you deserve sooner. At Zesta Kitchens, we make it happen, with quality custom kitchen designs for your Melbourne home. Pick up the phone and call us today on 1300 100 555 to speak with one of our helpful and friendly staff. Alternatively, fill in your details within the enquiry form and we will get back to you as soon as we can.